So, since I received some feedbacks about the previous post, I want first of all thank Guy Keulemans and Alain Peauroi for their comments I received via Facebook and mail(apparently there is no way to allow everyone to comment on google sites apart from inviting each individual). See the thread here. Receiving comments makes everything easier so they suggest what to post next. Said this, here is a short gallery of the local chairs in order of popularity (from the most popular to the least popular). I would say that here in Ouahigouya you don't see many typologies of chairs, so these 4 covers a good portion of the spectrum of local seats. This chair is very popular, you find it especially in public places: restaurants, bars, offices and also in some private houses. It is quite comfortable, but it's extremely noisy when being moved and it gets very hot if left under the sun. Some people mark their chairs by pinching holes in the seat. You can find it in various colours and models. 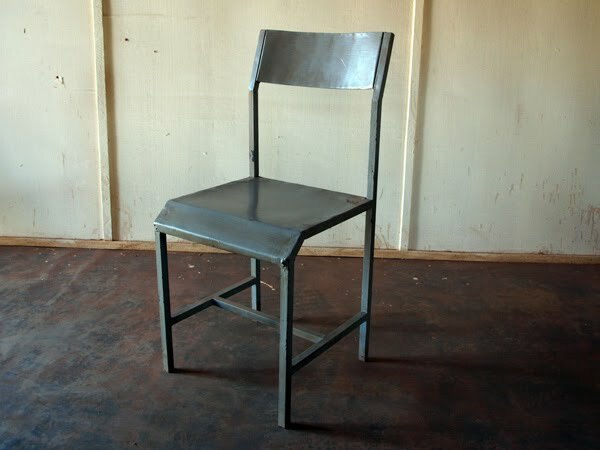 You all know how it feels to sit on one of these. Made with metal bars normally used in construction sites welded together. It's not adjustable, but it feels pretty comfortable. 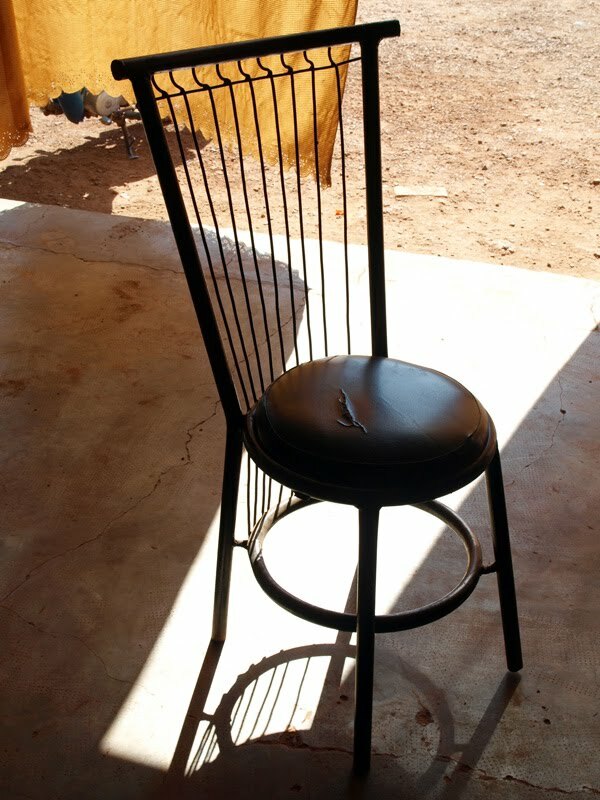 This is a chair you find only in private houses and some bars with low tables. 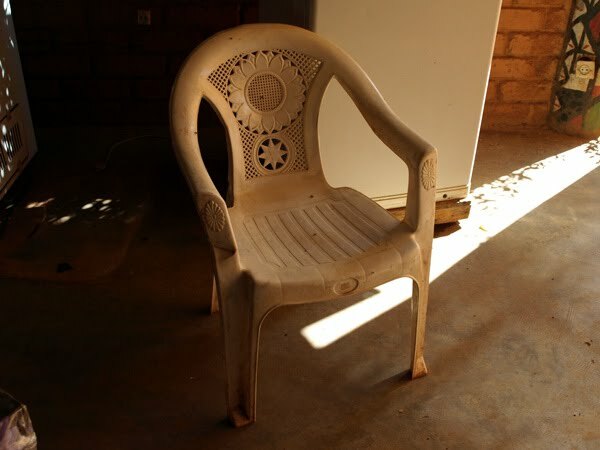 When i showed appreciation for these chairs the owner told me these are the chairs of the poor ones. I should investigate which are the chairs for the riches. They are usually made out of metal, some of them have upholstery. 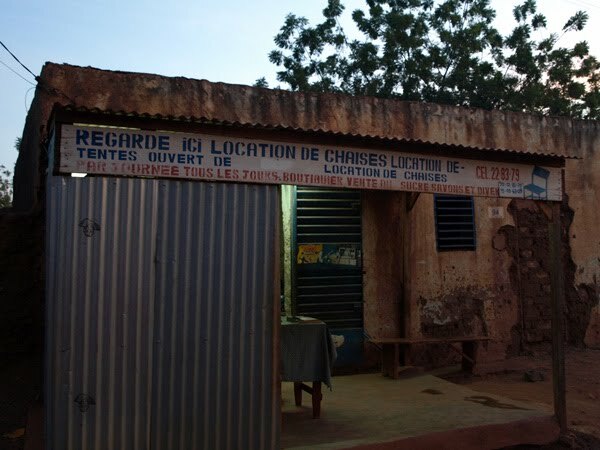 There are different kinds, but definitely they are not very popular here in Ouahigouya. 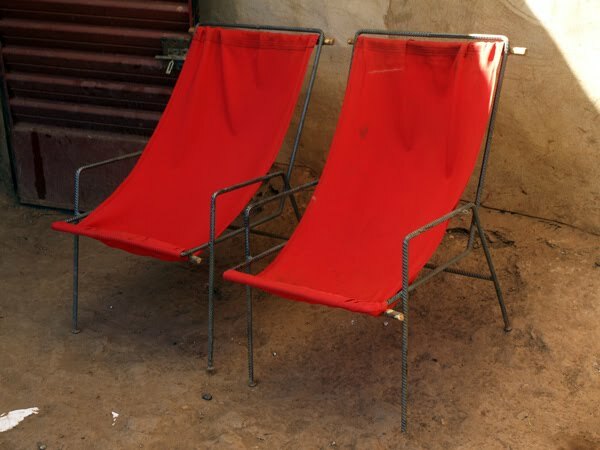 So these are the local chairs here. While the one that I commissioned you can see it in the previous post, although it is still in the making. As usual comments, feedbacks and insults are very welcome, and since unfortunately I can't let viewers intervene directly on the website I shared the link on my Facebook chair and you can interact directly from this FB page (hopefully this one works). Here it's a shop that rents chairs, the metal square model.